How Can the Elderly Maintain a Safe Home Environment? According to the CDC, more accidents occur inside the home than anywhere else, and many of those accidents result in life-altering injuries, which is why seniors and their caregivers must do everything in their power to make sure their homes are as safe and secure as possible. Here are a few steps the elderly can take to eradicate some of the dangers inside their homes. Slip-and-fall accidents are frighteningly common, but they can almost always be prevented. The best way to reduce the risk of a slip-and-fall accident inside the home is to declutter the floors. Piles of shoes, bunched-up rugs, and electrical cords are all tripping hazards that need to be removed. It’s especially important to keep debris away from stairs, steps, and ramps. For seniors who have difficulty managing clutter in the home, professional caregivers can be a great resource. 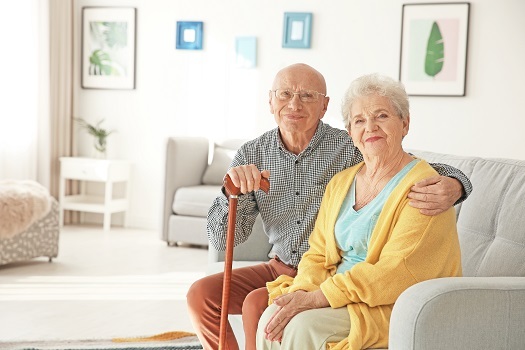 Many older adults are choosing to age in place, and some need a helping hand to continue living at home safely and comfortably. Luckily, there is professional home care Rhode Island seniors can trust and rely on. Many older adults aren’t able to move very quickly, which is why they need to have plenty of warning if there’s an emergency situation. If you have an aging loved one who is living alone, ask if you can install new alarms in his or her home. Modern fire alarms and smoke detectors can send text messages to designated numbers, flash bright lights, and call 911 automatically. Certain age-related conditions can make it more challenging for seniors to age in place safely and comfortably, but Rhode Island live-in care experts are available around the clock to help seniors manage their health. Whether your loved one is living with dementia or is recovering from a stroke, you can trust the professional live-in caregivers from Home Care Assistance to enhance his or her quality of life. Even if your loved one has lived in the same home for years, he or she may still have a difficult time moving around in the dark. At the very least, you should check all the light bulbs throughout the home every few months and replace any that have gone out. You might also want to consider installing motion sensors that automatically turn on the lights when someone is moving around. As a general rule, all the belongings and products your loved one uses every day should be easy to access. The risk of an accident increases if your loved one has to climb a stepladder to reach an item or bend over to get to the back of a cabinet. You should also rearrange the refrigerator so your loved one never has to bend over for heavy items like jugs of water. The bathroom can be one of the most dangerous areas in a home, and you need to spend a little extra time addressing some of the safety risks in that room. In addition to installing grab bars near the toilet and bathtub, you should also invest in nonslip bath mats. If a little more money can be invested in the bathroom, you might want to install a walk-in bathtub as well. Some companies can install these tubs in just a few hours, and they’re much safer than traditional bathtubs. If your elderly loved one needs help maintaining a high quality of life while aging in place, reach out to Home Care Assistance, a trusted provider of Rhode Island home care. Our caregivers provide transportation to and from medical appointments and social events, nutritious meal preparation, assistance with daily exercise, and help with everyday tasks like bathing, grooming, and light housekeeping. To learn about our high-quality in-home care services, give us a call at (401) 284-0979 today.